Sorry it's a tiny slow cooker and only fits two shanks. Literally two ingredients. Shanks and bag of Rendang sauce from these folks. I shared it with my SO. Would have gone nicely with a hoppy IPA - if it wasn't for stoopid dry-July. SPA112 w/Fax+Fon and C430A-GO DECT VoIP integration within same VLAN successfully accomplished (without any auto- or pre-provisioning for a SIP). 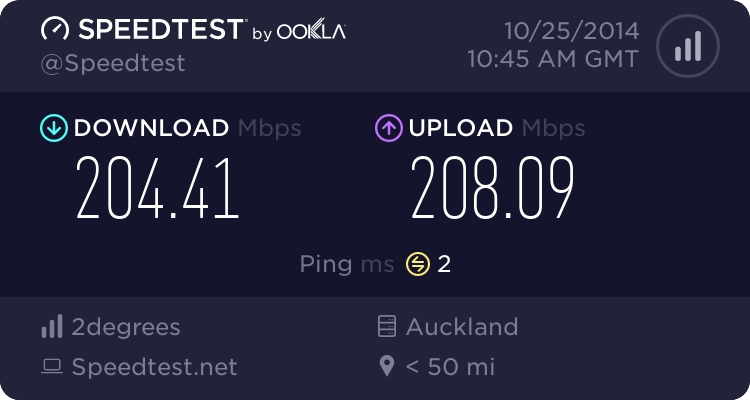 New ISP and native IPv6 on EdgeRouter. Hmmm. Don't see anything - neither mine nor yours. We're hosting a joint dinner party this Friday (well, we're doing the main course then moving everybody next door to the neighbour's for dessert) and our course is slow cooked lamb shanks. Need to feed 12, estimating 1.5 shanks per person to account for the gluttons so we're borrowing a couple of slow cookers and will likely have three of them lined up. Hope the fuses won't blow - they're rated about 1.3kw each - does that mean 6A each in which case I'm going to have to find a separate circuit for each one? Or is that a peak current that I can avoid when slow cooking? Plug a couple into the stove... that's 30A, and separate from any 3-pin outlet circuit. I phoned them to ask about the "Time Machine" but the Call Taker didn't seem to understand. Wonder how long it will take to correct it? Drill one replacement well, raise two below ground well heads. Time machines are hard to get head around, and may take some time for CCC to help all their Call Takers understand. I expect someone from CCC in the future will travel back to first-half of 2018 to explain this to the Call Taker so that when you called them, they'd understand what you were asking. Good idea but stove doesn't have any power points. And having these things cooking lamb all day tends to stink up the whole house so we usually put it in the laundry with the back door open. Back to something really really small. When the seal on a plastic bottle of milk actually peels back easily!! Two years ago we spent six weeks on a home exchange living in a small village between Caen and the WW 2 D-Day landing beaches in Normandy. As a result I have developed an interest in the events on and after 6 June 1944 in that area. Last week I picked up a library order of ‘D-Day’ - a large, non-fiction by Stephen Ambrose (the guy who wrote ‘Band of Brothers’) which has many photos. One photo shows a small group of US soldiers walking along a lane in a small named village (not the one we stayed in but nearby) with a stone wall, church, cemetery, headstones with mounted crosses, farm buildings etc in the background. Out of interest I found the village and the small lane on Google Maps. Using Street View I was able to place the google camera almost exactly at the point where the original photo was taken on D-Day. All the features I mentioned above are in the current shot - all still there - including the headstones with mounted crosses, the background buildings - everything. Given the nature of small French villages I am not really surprised at this but I am blown away by the tech that enables me to see it. I have done similar with other photos. My wife thinks I’m tragic and should have better things to do. She’s right but I get a kick out of it. Actually, any comic book-inspired, real-world tomfoolery. Had a 5 minute internet outage. And IPv6 started working. I never thought that I would be happy to have an outage, but I am.